Northern Ireland’s Euro 2016 opponents have been told by Gareth McAuley that Michael O’Neill’s men will spring a few surprises in France. World Cup holders Germany, Poland and Ukraine are in Group C alongside Northern Ireland, who have been handed a difficult draw in their first major tournament since the 1986 World Cup. O’Neill’s side equalled an all-time record when stretching their unbeaten streak to nine games against Wales on Thursday, yet the odds of them progressing to the knock-out stages this summer are considerable because of the calibre of players they will face. However, 36-year-old defender McAuley is not fazed by the likes of Thomas Muller, Robert Lewandowski and Andriy Yarmolenko and insists O’Neill is hatching tactics that will ensure they can bank on the element of surprise. “You say the group’s daunting, I’d say we have a good chance of getting something out of it, without getting ahead of ourselves,” said the West Brom man. “But, with Michael’s plan, we could surprise a few. “We’ll have different things that we’ll use and we will surprise these teams as well. Things we’ve practised, but not yet used in the campaign, so I think these teams will be wary of us. 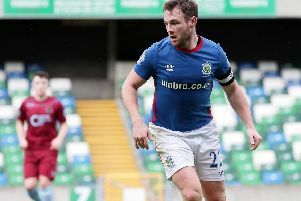 McAuley is one of a handful of Northern Irish players, along with the likes of skipper Steven Davis and defensive colleagues Jonny Evans and Craig Cathcart, who ply their trade in English football’s top flight. Earlier this month McAuley became the oldest outfield player to appear for West Brom in the Premier League era and Baggies boss Tony Pulis revealed the midlands club are in discussions with him about extending the 12-month contract he penned last summer. “Hopefully things will be sorted and that can be put away before the summer,” McAuley added. “I feel good in the games and touch wood that continues. I’m happy to take it a year at a time, people say your legs go but I wonder if your desire goes before your legs.